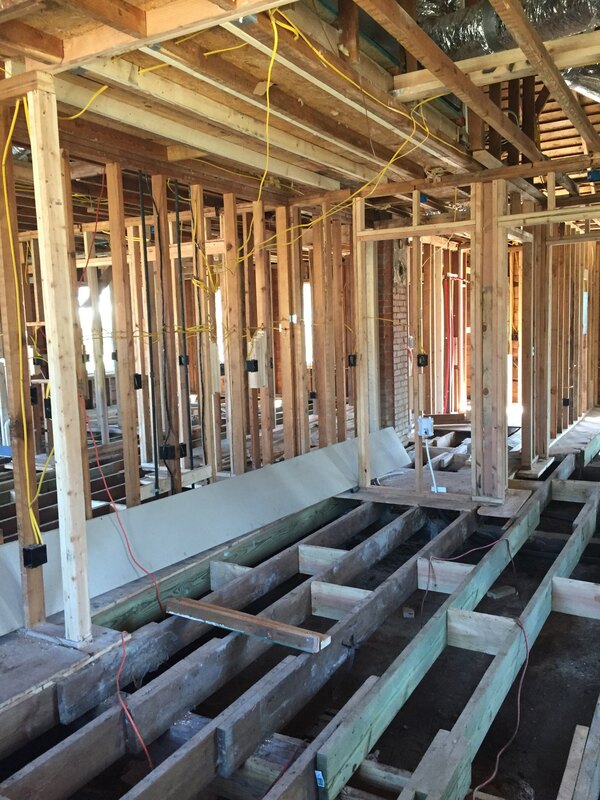 “Down to the studs” is a term that is flung around in the remodel industry without truly representing the work done. Distinguishing a solid remodel from a poor one is harder than it looks. First and foremost – and I know this may shock you – but there are people out there that are not honest about their work. So, the first thing you probably should do is look into who has done the remodel and make sure they have done quality work in the past and don’t have any complaints registered. Are they truly construction professionals, or have they just been watching too much HGTV and think flipping a house would be “super fun”. Down to the studs. What does that TRULY mean. It means the old plaster walls have been torn out, taking the house to the framework. Not only does this get rid of old plaster walls (more on that in a minute) but it opens up the walls allowing easy access to address any stability issues, completely rewire, replumb, add high grade insulation and eco-friendly drywall. Ask the remodeler to see pictures of their progress. If they say they don’t have any, that’s a great sign you are looking at lipstick on a pig, remodelers LOVE to show off their babies. Trust me, they have pictures. Without removing the plaster walls, rewiring and replumbing is HARD… REALLY HARD. And a remodeler that doesn’t want to do the hard work of taking it to the studs, probably doesn’t want to do the hard work of rewiring and replumbing through plaster and lathe walls. If they are honest that it wasn’t down to the studs, but tell you it “has new electric and plumbing” make sure that doesn’t just mean new GFCI outlets and plumbing hardware. Now let’s talk about those crumbling plaster walls. Can they be repaired properly to maintain the historic charm? Possibly. However, the potential pit falls outweigh the “charm”. Plaster can absorb moisture causing damage not only to the plaster, but the wood lathe behind it. So, behind that charming (crumbling) plaster you could have rotting wood and mold issues. If you can visually see shortcuts – old HVAC, original windows, old roof, old kitchen appliances – it’s pretty likely there are shortcuts you can’t see as well. Flooring is one of the easiest things to screw up and one of the most annoying to live with if it’s done wrong. Hardwood can buckle or warp if installed incorrectly. If the floors are new, make sure they were done correctly. Use this highly scientific method to test them – do the shuffle walk all around the house to make sure you don’t catch a toe. A knowledgeable Realtor can be a huge help. (Not your sister’s roommate’s cousin who is a teacher and shows houses on the weekends – A PROFESSIONAL Realtor.) They can have background on remodelers in the area and help run comps to make sure the remodeler is pricing the house correctly for the area. Lots of remodelers are trying to make a quick buck and cut corners so they might try to lure you into just working with them on the sale. No. No. No. Remember, using a Realtor on the buying side costs you nothing. Realtor fees are paid by the seller. On the flip side of that, not using a Realtor can cost you dearly if you end up paying for a quality remodel, but actually got a spectacular flop.